20 D Ones from 6 nations gathered at the beautiful coastal town of Alassio on the Italian Rivera for the 2017 European Championships. 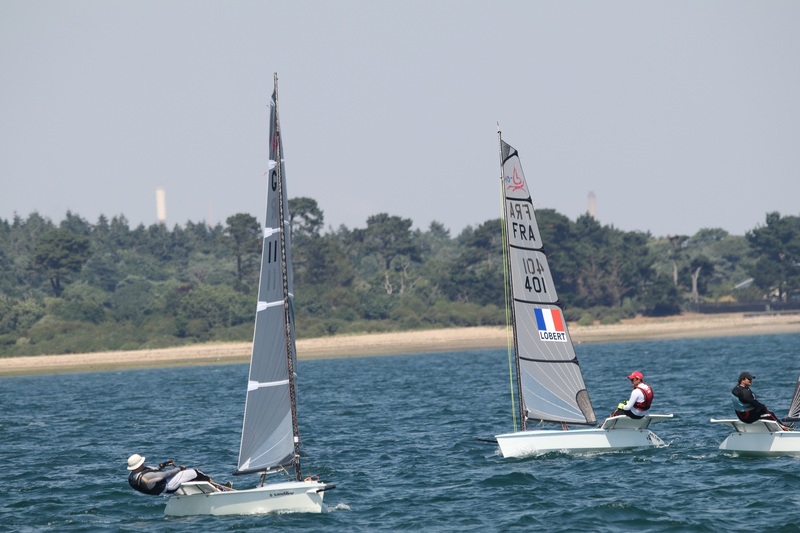 The 8 race event was sailed in light and variable conditions with the sea breeze struggling to establish itself. This lead to a pattern of enjoyable mornings spent in the beach front cafés or catching up with friends in the boat park followed by lunch at the marina before heading out in the afternoon sun for a couple of races. 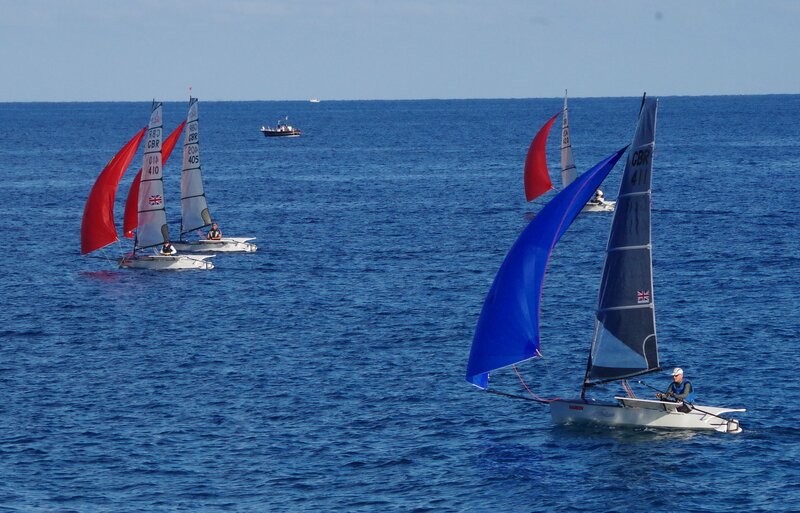 The lighter breezes made for close racing throughout the fleet with constant decision making about shifts and pressure. Gains and losses were made in every race with many photo finishes to decide placings! Nick Craig proved adept at managing the conditions and delivered a consistent series of 1st and 2nd places. 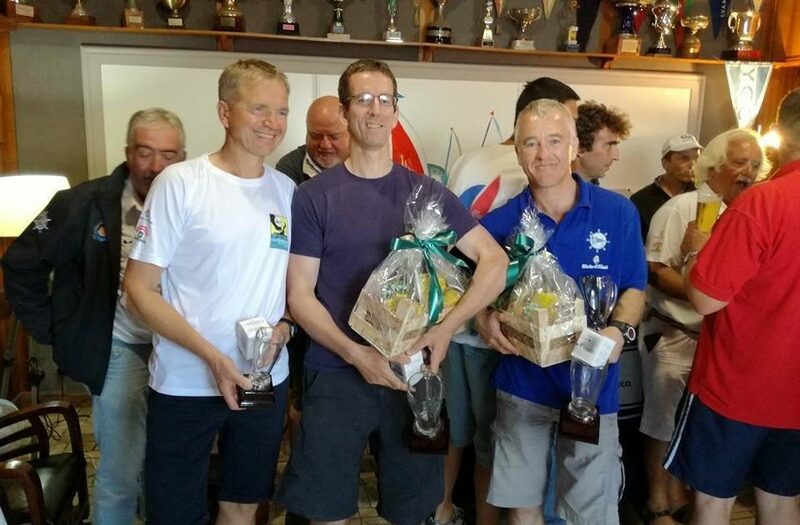 He also generously gave a seminar on how sail a D-One properly, which was hugely appreciated – and very effective, since Chris Sallis and Giles Chipperfield won the next two races, while Enrico Ciferri also won a race and led a couple more. However, everyone except Nick also managed to accumulate some high scores in the tricky conditions. Congratulations to a great champion. 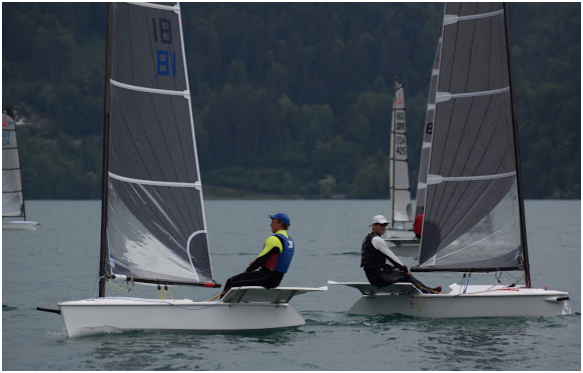 The D One Rooster Gold Cup was held on Lake Balaton from the 24th to the 28th May, hosted by the Hungarian D One fleet and Balatonfured Yacht Club. 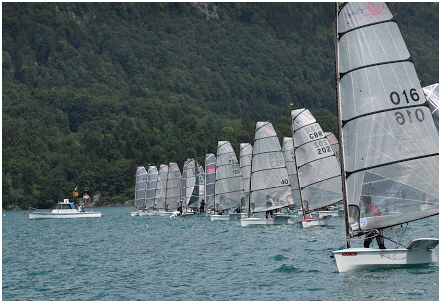 Competitors from Hungary, Austria, Czech Republic, Poland and the United Kingdom enjoyed a fantastic championship with superb sailing conditions, excellent race management and a very warm welcome from the hosts. 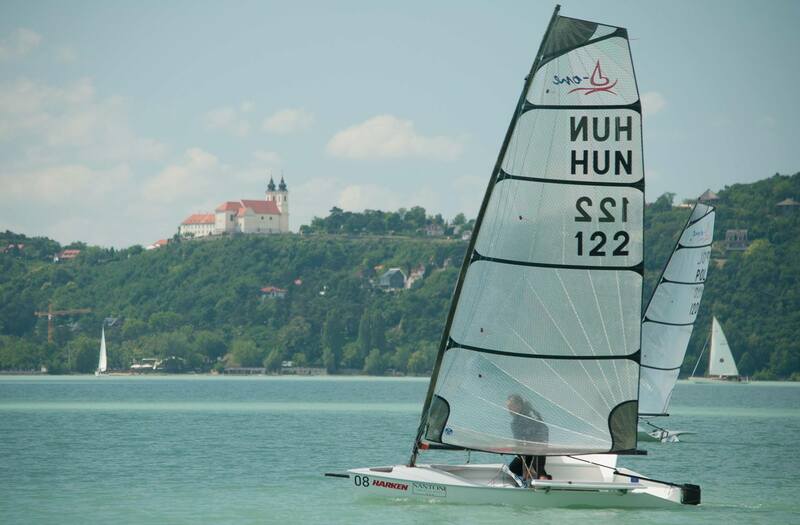 Eight races were sailed in conditions ranging from 5 to 25 knots against the stunning backdrop of Lake Balaton. 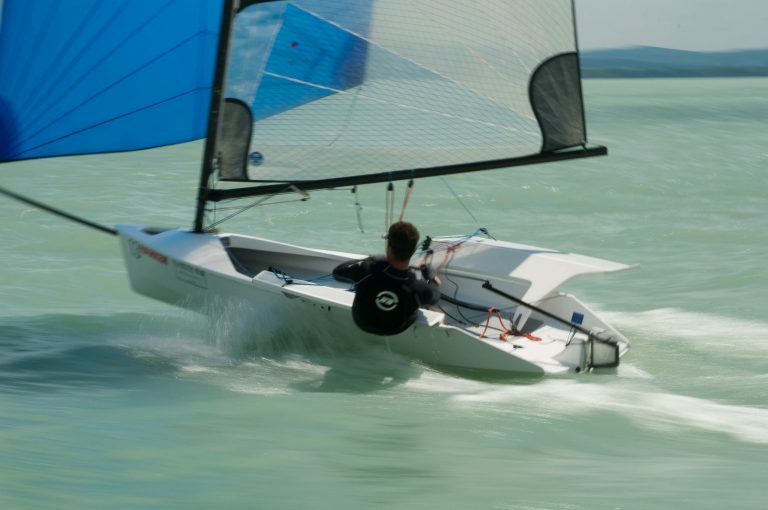 Day one was sailed in top end conditions and from the start Hungarian sailors Tomai Balazs (current European Champion) and Tamas Szamody showed great speed and excellent boat handling to finish 1,2. The 2nd race saw the wind increase with D One's launching themselves in all directions on the long fast downwinds. Tomai had some spinnaker issues and capsized leaving Tamas to take the win with Giles Chipperfield and Dave Gorringe (both of Lymington Town SC) taking 2nd and 3rd. 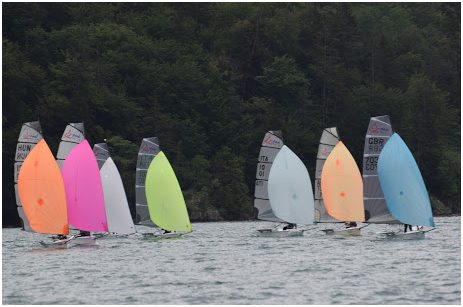 The fleet enjoyed 2 races on Day 1 in a 15knt northerly Pela wind. Mario Rabbo ITA and Tomai Balazs HUN made the break away with Mario winning and Nick Craig GBR moving up to second after Tomai made a mistake at the finish. The wind was shifting more for the second race and the first beat saw gains and losses on either side. This time Nick and Mario moved ahead with Nick taking the bullet and Mario second. Tim Garvin GBR rounded out the top 3. 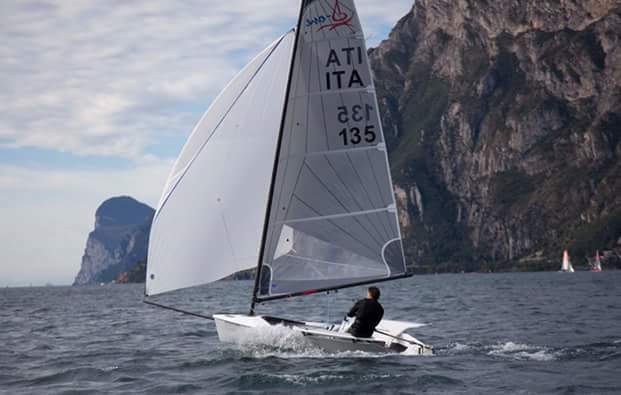 With close racing throughout the fleet and some classic Lake Garda down wind rides everyone returned to shore to share their stories from the day over a beer and a plate of pasta at the club. 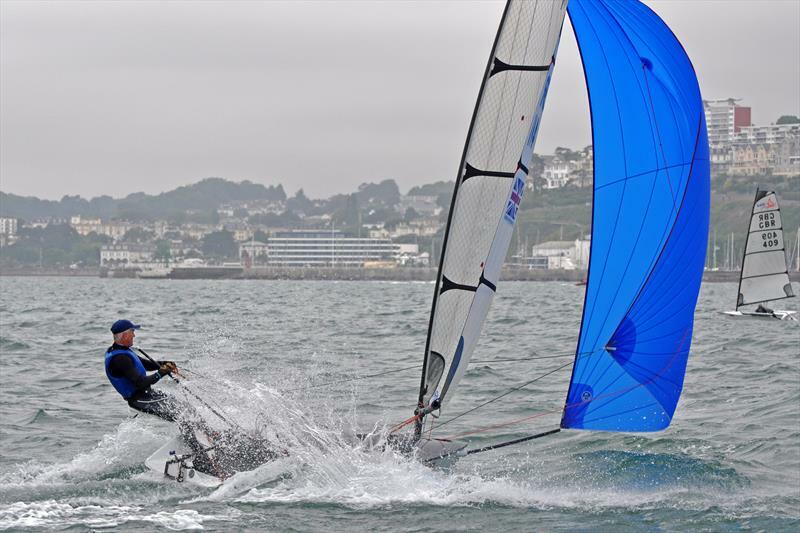 The final day's racing brought full on conditions with a strong south westerly gusting into the mid 20's. The RO and his team set a good sized windward leeward and the fleet got away into a proper heavy-weather beat. A tight group rounded the top mark with Martin Browne and Al Hall featuring, everybody was fully lit up on the downwinds and as speeding D One's approached the port lay line it was becoming a case of 'who gybes wins'! It wasn't long before normal service was resumed and Nick found his way to the front to take his 6th bullet – 1 to go for 7 straight. Al Hall had his best result of the week with Giles grabbing 3rd on the line as Martin Browne and Humphrey Carter dealt with various management issues! The wind increased for the final race and conditions were now at the upper limit with virtually nobody else left on the bay. Nick clearly had a mainsheet problem but was still cruising upwind alarmingly quickly! Chris Sallis rounded first and set his kite for a blistering run out to the lay-line followed by Nick, Dave Gorringe and Giles. As the race went on Dave and Giles pulled through and Nick had an uncharacteristic capsize whilst gybing in a massive gust. By the finish Dave had won taking the 'Lymington honour' with Giles second and Chris third. With a poor forecast and several regular D One sailors on 'other duties' a small fleet assembled at Oxford SC on the 1st and 2nd of April for the first event of the 2017 Travellers Trophy. Contrary to the forecast of light wind and rain the fleet headed out into a sunny force 3 on Saturday afternoon. Race one got under way with Oxford local Terry Brookes nailing the first beat to round ahead of Paul Birbeck and Nick Crickmore. As these 3 took off downwind Chris Sallis gybe-set to hook up some good pressure on the left and pulled through to lead at the leeward buoy. Terry continued to chase but some loose covering saw Chris take the win. Race two started in similar conditions with a tight first beat and downwind, this time Terry led at the bottom buoy followed by Nick and Chris. With the wind starting to swing left and right Chris found a passing lane on the upwind and managed to pull ahead into a comfortable lead with Terry taking second and Paul third. Race three saw Terry going quickly on the first downwind and then extend his lead over Chris and Paul. So at the end of a great afternoons sailing Chris and Terry were separated by 1 point with Paul rounding out the top three.